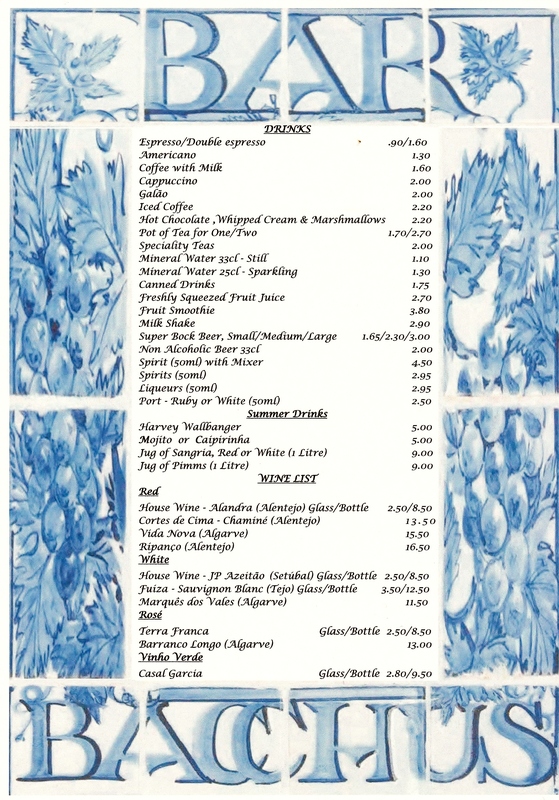 Our menu is based around a simple philosophy, to provide high quality, freshly prepared food. 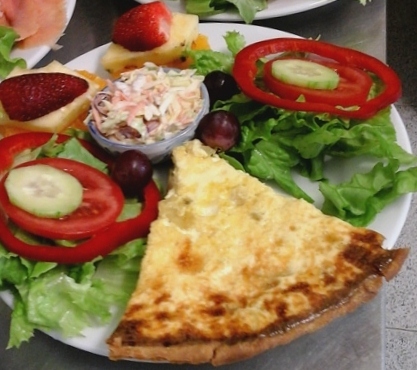 We provide a choice of vegetarian options. Wherever possible we use fresh, locally sourced seasonal ingredients and prepare each plate of food to order. 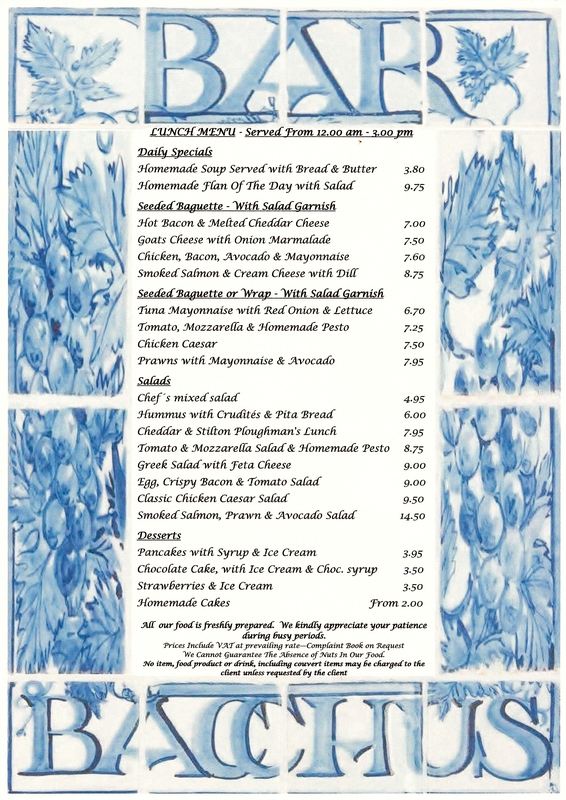 Our winter menu contains some of our popular baguettes and salads as well as including oven baked jacket potatoes that are perfect to enjoy as part of a relaxing, lazy lunch in cozy surroundings while kept warm by the fireplace. 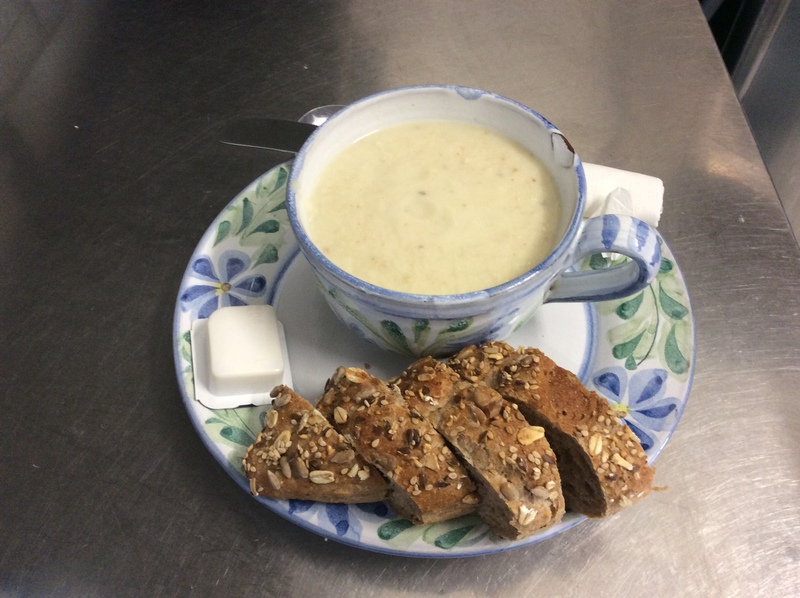 Our soups and winter warmers are homemade daily in our kitchen. 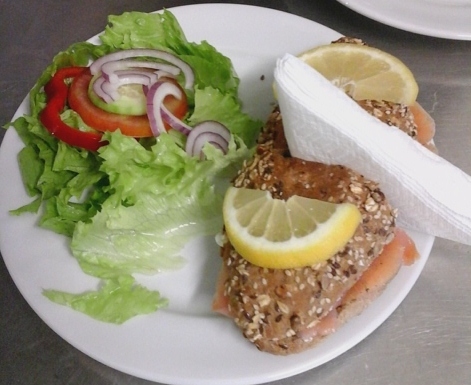 Our Hummus as well as our salad dressings are all homemade as are our delicious cakes. Sometimes we may even surprise you with a fresh batch of homemade chocolate chip cookies!! We accept payment by Cash, VISA and Master Card.